In December 2017, ICE again participated in the MARINTEC China trade show in Shanghai, as part of the British pavilion. At the encouragement of the UK Government’s Department of International Trade, ICE had entered into an arrangement with SMC Design and other UK companies to offer complete cruise ship design solutions to Chinese owners and yards. SMC is a highly-respected London-based specialist of visual exterior and interior design of luxury yachts and cruise ships, with an enviable track-record of providing designs to many leading cruise brands. ICE has the technical know-how as naval architects, marine engineers and project managers to ensure that SMC’s design concepts are integrated into state-of-the-art ships that are economic to build and operate and fully comply with applicable regulations. 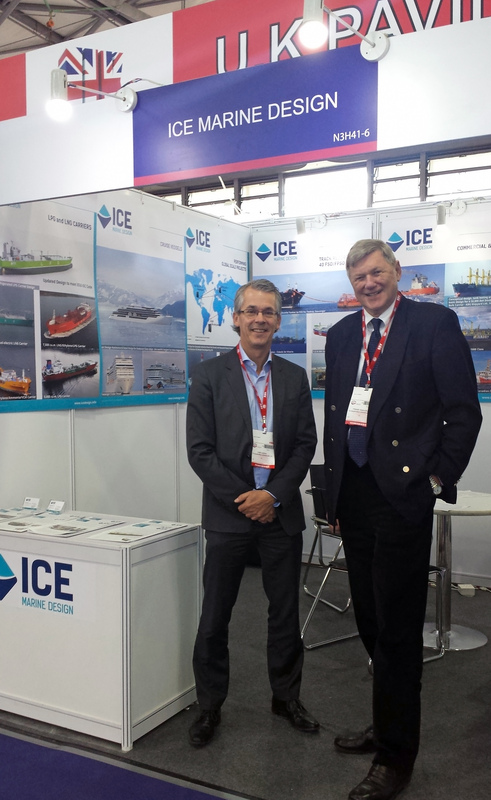 ICE and SMC had stands next to each other at MARINTEC exhibition and our combined offering attracted attention from many players in the rapidly growing Chinese cruise industry. In addition to attending previous trade shows in China, ICE has been involved in design of a passenger ferry built at a Chinese shipyard, and has provided consulting services for evaluation of propulsion alternatives for a series of large LNG carriers for another Chinese yard.